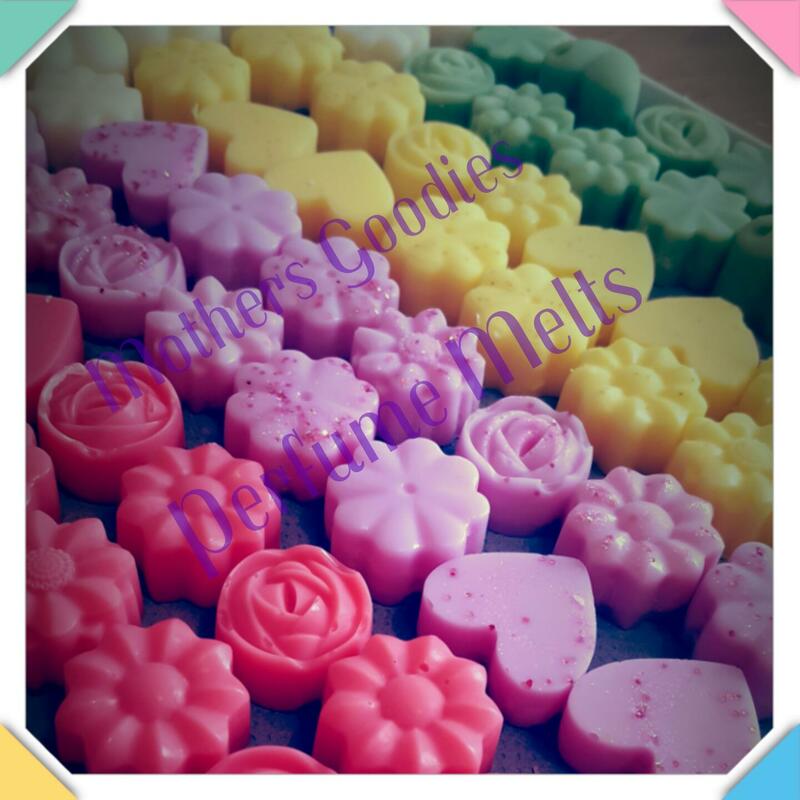 Mothers Goodies Wax Melts are handmade fresh each week using 100% natural soy wax, no nasty additives or hardening ingredients. We use soy wax, fragrance & colour, Ohh, and glitter. Let’s not forget the glitter. To use: Simply add one or two wax melts to your oil burner or electric tart warmer. Do not add water. The wax melt will slowly turn to liquid and begin to release the scent. Each Soy Wax Melt can fragrance your home for up to 3 hours. We love what we do at Mothers Goodies and we hope you will do. You will receive three melts in a scent of your choice.